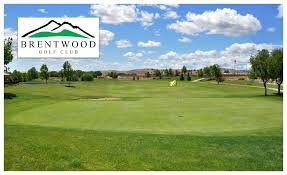 Set in beautiful Brentwood, just 30 miles East of San Francisco, is a planned and gated adult (55+) active senior community called Summerset with its own 27 hole Brentwood Golf Club, community centers and fitness centers. You can join in bocce ball, tennis, trails, hiking and many social clubs for things such as billards, cards, sewing, etc . Scheduled events in the Bay Area are also available. Near Summerset is plenty of local shopping and entertainment as well access to excellent medical providers and hospitals. All home models in Summerset are single story for your ease. Pets are welcome with HOA approvals. All units have a garage and many have hook-ups for in-laundry connections. Interested in to learn more about Trilogy at the Vineyards? Click Here, Trilogy. Click a community link below to search the latest listings for sale in each community. Summerset I (1), (click for more info) started in 1994, has 471 homes in 14 different models and floor plans ranging in size from 964 sqft to 2311 sqft. Summerset II (2), also known as Summerset Palms, was started in 1998 and has 431 homes. Summerset III (3), (click for more info) also known as Summerset Vista, was started in 2000 and has 464 homes. Summerset II & III homes have 14 different models and floor plans and range in size from 964 sq ft to 2652 sq ft.
Summerset IV (4), also known as Summerset Orchards, was started in 2002 and has 647 homes with 8 different models/floor plans that range in size from 1283 sgft to 2571 sqft. 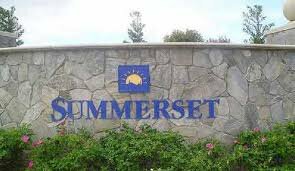 When you are ready to relax and enjoy a comfortable gated community with many amenities to keep you entertained, yet still be in the SF Bay Area, then consider Summerset. Give us a call and we can assist you in find the right homes to meet your needs as well as assist you in the sale of your current home. We look forward to speaking with you! Listed below are the Models / Floor plans and size of the homes, by each community for your review. Click the Community name for a directory of all the models and floor plans that you can scroll through online or print for your use. Click above for a link to view all the model floor plans in one document or click the models below to view each one. Note: Model names, configurations and sizes represented in the information provided is for representative purposes only and not intended to be used for actual sales measurements. All the information has been generated from original developer sales brochures so modifications may have been made at original purchase or since purchase. The City of Brentwood is a growing and thriving community with shopping, community parks, recreational activities and close to the Delta for water recreation. Only minutes from Livermore you have access to the many wineries, shopping outlets the quaint downtown. This 27 hole championship golf course was designed by Ted Robinson and is situated in the Summerset Communities, just East of Mt Diablo and about 45 minutes from San Francisco. the public is welcome and tee times can be reserved up to seven days in advance. The Club supports a practice range and putting green and has a professional staff to provide program instructions. The Club also is home to Nines, a casual dining menu with a full bar, flat screen TV and friendly staff. Use this tool to search within On Demand Realty. Search City Names, Schools, Programs i.e. VA/FHA, Assistance programs, Blogs, etc.